Natural kraft linerboard. Narrow widths 273-440 gsm. Standard diameters and cores. For cores, tubes and palet corners. For boxes to 76 cms width. Always available- and as always "Made in USA". we ll put the order together for you. Thanks for your business!! For 2016, Recycled linerboard. Excess HP linerboard comes from several major converters. Prime natural linerboard from 26# and up. Competitive in Europe, Central, South America and Eastern Europe, Scandinavia. Our clients are box converters and we have 100% repeat business in both prime and job lot. 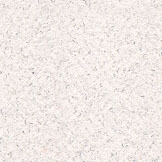 We sell recycled and natural linerboard KLB . Call today and let s work out a program. Every client counts-give us your opinions - how we doin? Call let s talk! For 2016, we sell both prime and job lot linerboard. 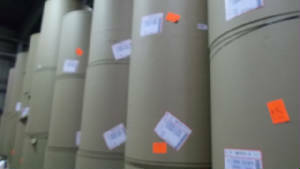 The prime linerboard sold is primarily 161 gsm and 205 gsm 275 gsm 336 gsm 440 gsm virgin kraft, sold for export. The recycled linerboard is 126 161 171 205 279 gsm. Available only to certain markets, please ask subject to mill approval. We also sell job lot recycled liner all basis weights. All of this is excellent material, and has very good convertibility and resistance, strength properties. High performance liner available. This market is growing as we find clients are becoming aware of our consistency and punctual delivery times, quick response and good value. Can offer very good service into Central America and Europe. GOT IT!! 33# 42# and more. Nice job lot or prime. Awesome price savings, good quality. Excellent logistics and shipment follow up. DID YOU KNOW? We sell more prime than job lot paperboard rolls?? We work directly with several leading US mill groups and numerous US mills for prime material. We also sell prime from Europe and Scandinavia. Paper and paperboard. Please note: In order to keep our low prices, we will not mention mill group nor mill origin aside from "Made in USA". 20% recycled linerboard 283 and 302 gsm. Prime uncoated white top for export.